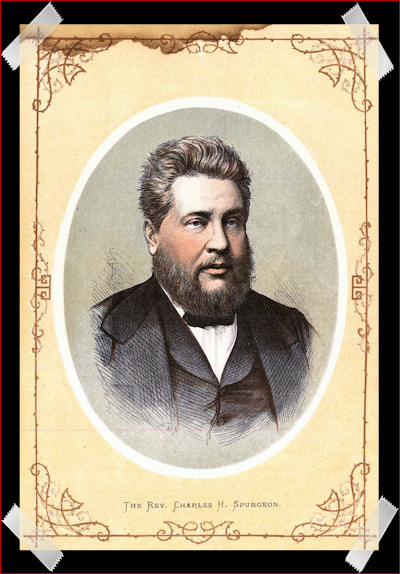 The PyroManiacs devote some space each weekend to highlights from the lifetime of works from the Prince of Preachers, Charles Haddon Spurgeon. The following excerpt is from Eccentric Preachers, pages iv-vi. Pilgrim Publications. "From the earliest period it has been found impossible for the messengers whom God has sent to suit their style of utterance to the tastes of all." Many hearers lose much blessing through criticizing too much, and meditating too little; and many more incur great sin by calumniating those who live for the good of others. True pastors have enough of care and travail without being burdened by undeserved and useless fault-finding. We have something better to do than to be for ever answering every malignant or frivolous slander which is set afloat to injure us. We expected to prove our ministry “by evil report and by good report,” and we are not therefore overwhelmed by abuse as though some new thing had happened unto us; and yet there are tender, loving spirits who feel the trial very keenly, and are sadly hindered in brave service by cruel assaults. The rougher and stronger among us laugh at those who ridicule us, but upon others the effect is very sorrowful. For their sakes are these pages written; may they be a warning to wanton witlings who defame the servants of the Most High God. As ministers we are very far from being perfect, but many of us are doing our best, and we are grieved that the minds of our people should be more directed to our personal imperfections than to our divine message. The following excerpt was written by Dan back in April 2012. Dan explained why Christ's resurrection must have been a physical one. "Resurrection" doesn‘t mean anything unless it is a bodily resurrection. The Greek word very literally means to "stand back up." What is it that stands back up if not the body that had lain down in death? So it was in Jesus‘ case. His body was nailed to the cross. His body died. His body was pierced with a spear, and shed blood and water (John 19:34). His body was taken down from the cross, wrapped in linen, and laid in a tomb (Mark 15:46). If Jesus did not rise bodily, He did not rise in any meaningful sense of the word. Ah, but what did the women come seeking on that Sunday morning? They sought His body for further burial treatment. And what did they not find? His body (Luke 24:3). The body was missing, though the grave clothes were left behind (John 20:6–7). And what was it they encountered that convinced them of Jesus‘ victory over death? The living, resurrected, glorified body of the Lord Jesus. In fact, though cults and false teachers have sought out ways to deny it, the historical narratives go to great pains to stress the physical, material reality of Jesus‘ resurrected body. He still bears the trophies of His contest (Luke 24:40; John 20:27), He can be touched (Matt. 28:9), He eats (Luke 24:41–43)—He has flesh and bones (Luke 24:39). Though His glorified body could be called a "spiritual body" (cf. 1 Cor. 15:44), it is a body, nonetheless. But why was it important for Jesus to rise from the dead in a material body? First, this is what Jesus predicted. At the very outset of His public ministry, Jesus announced that He would raise up the "temple" that the Jews tore down (John 2:19). Though His hearers thought He spoke of the physical temple building, He was speaking of the temple of His body (John 2:21). That body would be torn down; and that same body would be raised up. The same body that was whipped, beaten, and mortally crucified, would rise (Matt. 20:18–19). If that did not happen, Jesus‘ prediction was false, and His whole case is undone. Second, Jesus‘ bodily resurrection would prove to be the ultimate divine validation of Jesus‘ person and work (Rom. 1:4). Think it through. What would God have had to do to the dead body of Jesus in order to invalidate everything He said? The answer? Nothing! Simply let Jesus‘ corpse lie there dead, as corpses have characteristically done since Adam, and the entire structure of Jesus‘ claims would collapse with a horrendous crash. Jesus‘ resurrection is His Father‘s seal of approval on everything He said and did. Third (and central for our purpose here), His resurrection shows that His sacrifice for us was accepted. As Paul puts it, Jesus "was delivered on account of our trespasses, and was raised on account of our justification‖ (Rom. 4:25 DJP ). "On account of"—in other words, the resurrection of Jesus attests the fact that God had declared His people righteous because of Jesus‘ sacrifice. We are not justified by His resurrection; His resurrection proves that we are justified by His death. Unless Satan can get Jesus back in the tomb—and I don‘t see that happening—I know that God sees me as righteous for Jesus' sake. 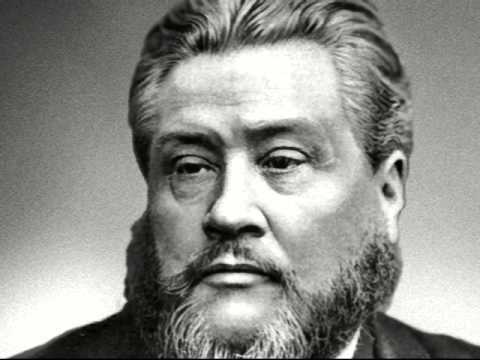 The PyroManiacs devote some space each weekend to highlights from the lifetime of works from the Prince of Preachers, Charles Haddon Spurgeon. The following excerpt is from We Endeavour, pages 52-53, Pilgrim Publications. "We must give an account of our influence." Everybody has some kind of influence. The mother who never leaves the nursery has a wondrous influence over those little children of hers, though no neighbour feels the force of her influence, and no one but her own little ones is affected by her faithfulness. And who knows but that she is pressing to her bosom, perhaps a Whitefield, who will thunder out the gospel through the length and breadth of the land; or perhaps, on the other hand, an infidel, whose dreadful blasphemies shall ruin multitudes? There is an influence that the mother has for which she must give an account to God. And the father’s influence,—oh! fathers, you cannot shake off your obligations to your children by sending them to school, whether to a Sunday school or a boarding-school, They are your children, and you must give an account of your stewardship concerning your own offspring. Ay, and even the nurse-girl, though she seems of small note in the commonwealth, yet she also has an influence over her little charge, which she must use for Christ. Not only he who thrills a senate with his oratory, but he also who speaks a word from the carpenter’s bench, each has his influence, and each must use it, and give an account of it; not merely the man who, by refusing to lend his millions, could prevent the horrors of war, but the man who with a smile might help to laugh at sin, or with a word of rebuke might show that he abhorred it. There is no one of you without influence, and I ask you now how you have used it. Has it always been on the side of the Lord? “Give an account of thy stewardship,” for that influence will not always last. The following excerpt was written by Frank back in June 2006. Frank offered a parable to demonstrate the vital importance of orthodoxy to the Faith. Imagine it's a hot day outside -- not one of those tepid 85 degree days they get in Ohio in late July but one of those 104 degree days we get in AR in early August. I'm in my bookstore, and some fellow walks in who is obviously in some kind of distress. "Can I help you?" I ask, in honest concern. "Are you alright?" "Dude," he chokes out, "I need a cup of water. I just walked 10 miles from my broken-down car, and I'm ... I'm ..."
I grab him as he teeters over, and I sit him in one of the reading chairs. He's not unconscious, but he's obviously weak and sick. So I go behind the counter, I get a clean rag, and I soak it in rubbing alcohol (which we use to clean our counters and our windows), and I go back to this fellow in distress. "Here," I say to him, "This will make you feel better." He grabs the rag, and it feels very cool and wet to his touch, but as he lifts it to his mouth he realizes by the smell that something's afoot. "Dude," he gasps, "What is this?" "It's cool and wet, friend," I say to him, "which is exactly what you need. Go ahead." Now, without watching this little scene play out all the way to the end, let me ask you: was it a fair substitution to give him a rag soaked in alcohol when what he needed was a cup of water? Put another way, at what place did I stop giving him the aid he required as I was substituting out the essentials of his need with counterfeits or with handy (but inappropriate) spare parts? And would you be some sort of malcontent or trouble maker if you pointed out to me that it would do more harm than good to give a dehydrated man an ounce of rubbing alcohol to drink? Let me propose to you that this little scene is a metaphor for orthodoxy in the Christian faith. If we think that somehow we are coming to the aid of someone by bringing them a sloppy mess which has absorbed something that only superficially appears to be like what they need, rather than a self-contained measure of the actual stuff that they need, we're not helping anybody. And clearly, in some cases, we are actually hurting them worse. You apply that as you see fit. 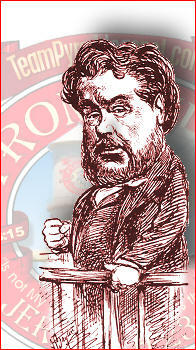 The PyroManiacs devote some space each weekend to highlights from the lifetime of works from the Prince of Preachers, Charles Haddon Spurgeon. The following excerpt is from The Metropolitan Tabernacle Pulpit, volume 37, sermon number 2,230, "Loved and laved." "He loved us and washed us." Does God take to washing black sinners white? That he should create, I understand; that he should destroy, I also understand; but that he should wash and cleanse those who have made themselves foul with sin is marvellous. God is so full of power that, if a thing is broken, it is never worth his while to mend it. It is the poverty of our resources that compels us to put up with defiled and broken things, and make them better; but he could, with a word, or without a word, make another race of creatures and leave sinful men to die, if he would. Yet he loved us, so that he stooped to wash us from our defilement. Oh, when you see the Christ of God kneeling down, girding himself with a towel, like a slave, and bringing forth the ewer and the basin; when you see him pouring water on his disciples’ feet, then taking foot after foot with his own dear hands and washing them, you see a great sight of love! But when he opens his own side, when he gives his hands and feet to be sacred fountains of blood, and we are cleansed through his death and agony, this is compassion like a God; this is a sight the like of which heaven and earth have never seen. What love must he have to sinful men, that he should stoop so low as this! The Maker of Heaven and earth washing filthy hearts and sinful souls! It almost surpasses human thought; yet it is most certainly true. Glory be unto his name! Well may we sing praises “unto him that loved us, and washed us.” It is amazing mercy that Christ should ever deal with sin, except to punish it. That he should ever take it on himself, that he might remove it from us, is a thing that we shall never fully understand even in glory itself. Condescending love indeed it was that loved us, and washed us. The following excerpt was written by Phil back in August 2007. He explained how the account of Elijah at Zarephath was a display of God's sovereignty and grace. Think about this: God could have sent Elijah to any number of widows in Jerusalem, but he bypassed them all and chose this foreign widow instead. God's sovereignty over the human heart is a theme that runs through 1 Kings 17. He chose this woman to show grace to. He moved her to respond. The Lord Himself makes this idea explicit. In verse 9, He tells Elijah: "Behold, I have commanded a widow woman there to sustain thee." It was God who moved her heart to extend hospitality to Elijah, despite her own extremity. It was God who opened her heart to have enough faith to make him a small cake before she prepared her final handful of meal for herself and her son. In other words, her kindness to Elijah was not the reason she was shown grace. Rather, it is proof that God's sovereign grace was at work in her heart. There was nothing in this woman's character that made her more deserving of God's grace than anyone else. Grace, by definition, is something that is entirely undeserved. The reason this widow was shown a special mercy simply cannot be explained by "something in her." It was entirely owing to the sovereign will of God, who has mercy on whomever He chooses. She was sovereignly singled out by God to be a living object lesson of the truth that God would pour out His mercy on the Gentiles. Israel would fall because of unbelief, and God would therefore show grace to the Gentiles. Jesus used this incident to illustrate that point when the people in his own home town turned against Him. So the point is not that this woman had hidden virtues that somehow merited God's favor more than any of the widows in Israel. The point is that God's grace cannot be taken for granted. He bestows His grace on whomever He chooses, and when it pleases Him, he may bypass all the widows in Israel in order to show mercy on a pagan widow. So don't squander the grace He shows you. Don't harden your heart when you hear His voice. Don't take His grace for granted. 1. When this post went live originally, a lot of people thought that they were selling their souls to vote for the "lesser of two evils," given the final choices available to them, so they were going to still vote their consciences, by gum, and the devil take the hindmost. And he has. So let me say here what I said then even though it was widely ignored: this is the time, right now, in the primary process, to vote as far to the extreme as you can muster. Vote insane (cf. Trump and Kasich); vote as if RUSH is your favorite rock band (cf. Rand Paul); vote for the one with the real private-sector experience (cf. Carly); vote for the Guy who has made a career of upsetting the political apple cart for a principle (cf. Cruz); vote for the nice boy (cf. Rubio). Right now is the time to vote entirely on your most critical political principlebecuase now is the time you have the most choices and can steer the ship a little. After the convention is done? Don't complain that we have made sausage. We are making sausage, not Prime Rib. 2. You are not electing a Messiah or a Pastor. Seriously. We should want to be ruled by a just Turk rather than an incompetent Presbyterian every single day until Christ returns. 3A - Wisdom requires us to do better than our worst (cf. Prov 2:20-22). Voting for someone as a "protest vote" who only causes a far worse candidate than the viable alternative to win is not doing better than your worst. 3B - The burden of saving the world is not on you, but the burden of doing right by your neighbor is. (cf. Lev 19:18; Mk 12:31) You are not doing right by your neighbor to vote in a way that is utterly heavenly-minded and of no Earthly good. 3C - All good actions in this world, except for the final return and judgment of Christ, are always acts of incrementalism. (cf. Mat 28:19; Acts 2:40-41; Luke 9:23) Take one step in the right direction even if you cannot take all the steps right this second. After that, do as you will. Best wishes and God's blessings on all of you as we live through this time of judgment on our nation. Be faithful, love God, and love people. This is not really what we usually do at TeamPyro, but because it is on thinking about politics and this election I am writing, we will start with the merely-pragmatic. Before starting: this is not an endorsement of [anyone]. This is an examination of one claim by one group of people regarding what they say they believe about voting in this election. So there’s a lot of hysteria about voting for [anyone] right now, especially from two different kinds of conservatives. One kind can’t vote for a Mormon. The other kind can’t vote for a politician in the real world who, frankly, doesn’t agree with them on every jot and tittle – and supposedly on at least one major political issue. If you are one of these people, this post is probably not for you. I will deal with you later. There is one class of voter this post is for, and that’s the voter who isn’t a huge fan of [anyone], and is not a fan of [the other anyone], and wants to vote for anyone else more attuned to their stated political beliefs – for example, Ron Paul, or perhaps Pat Robertson, or perhaps Sara Palin – someone farther to the right with better Bona Fides than [anyone]. But they know, in their heart, that this vote is a vote of conscience and not a vote which will actually cause that man to be put into office. So when they are confronted by the objection, “A vote for [[anyone]] is a vote for [the other anyone],” they ask the astute question, “Pray tell: why isn’t it a vote for [a better outcome]?” DJP has dealt with this 4 years ago, but I have something it seems most people have not considered. 4. Relating to the question asked, above, this is exactly how a vote against Obama but not for Romney ensures Obama’s victory: mathematically, [BLUE SIDE] has a winning plurality of core voters, and no one else does. Seriously: if the electorate splits by registration saturation, BLUE wins the plurality. When you cast your vote, you need to vote remembering that if you cast a vote which creates a plurality, you are spinning the result toward the party with the inherent plurality-winning base. A closing note: the question of winning a plurality is obviously a HUGE issue in the red-side primaries. In a race split the way the RED-side is split right now, the way we reason through the plurality matters. Reason through it in a way that doesn't leave us with a clown at the top of the ticket. The PyroManiacs devote some space each weekend to highlights from the lifetime of works from the Prince of Preachers, Charles Haddon Spurgeon. The following excerpt is from The Metropolitan Tabernacle Pulpit, volume 13, sermon number 758, "The glorious gospel of the blessed Lord." "Let us endeavour to make men notice what kind of gospel we believe." Only a few weeks ago, a missionary in China took his gun to go up one of the rivers of the interior to shoot wild ducks; and, as he went along in the boat, he shot at some ducks, and down they fell; unfortunately they did not happen to be wild fowl, but tame ducks belonging to some of the neighbours. The owner was miles away, but the boat was drawn up to the side of the river, and the missionary went about carefully endeavouring to find out the owner of the ducks, for he could not rest until he had paid for the damage he had ignorantly done. The owner was much surprised, he had been so accustomed to have people shoot his ducks and never say a word about it, that he could not understand the honesty of the man of God, and he told others, until crowds of Chinese gathered around and stared at the missionary as if he had dropped from the moon; a man so extremely honest as not to be willing to take away ducks when he had killed them! They listened to the gospel with attention, and observed that the teaching must be good which made people so conscientious as the missionary had been. I can only think that little accident did more for the gospel than the preaching of twenty sermons might have done without it. So let it be with us; let us so act in every position that we shall adorn the gospel which is committed to our trust. The following excerpt was written by Dan back in December 2011. Dan used Jeremiah 13 as a launching point to show why the only proper response to a command from God is faithful obedience. As I read through the first part of Jeremiah 13, an instructive and timely pattern leapt out at me. In verse one, Yahweh instructs the prophet to purchase and wear a linen loincloth. In verse 2, Jeremiah does it. Period. Then, and only then, does the prophet receive another word from Yahweh. Pause and reflect on that. Such a trivial command, no? As if God parted the heavens to tell you to buy a can of olives, or a jar of mayonnaise, and put it on the shelf? If that were the case, would it be lawful and reasonable to ask why this command was given? Sure, I don't know why not. We could ask. But suppose no answer was forthcoming? What then? Was the directive surely from God? Was the directive clear enough? Does God deserve obedience, regardless of the presence or absence of further explanation as to His rationale? Would it in any sense be unreasonable to say that disobedience, dithering or delay would itself be unreasonable? In the Biblical example before us, the answers are clear enough. To the first three questions, I would suggest that Yes is the only reasonable answer; and, to the fourth, only No. Suppose Jeremiah never received one further word from Yahweh. The entry for that day might be, "Dear Diary: today, Yahweh told me to buy a belt, so I did." The diary's last entry of his life might include, "...oh, and I never found out what the deal with the belt was. But that's okay. He's Yahweh. I'm not." Why would it be "okay"? Do this mental exercise. List for me every last being who does not have exhaustive knowledge of the nature, meaning and significance of every fact or event that ever has existed or will exist, as well as every fact or event that might have existed. That will be a very, very long list. Blogger won't allow you to write all the names in your comment. This list will contain the name of every last sentient creature, of any order, ever. My name will be on that list. Yours, as well. Now: list for me every last being who does have exhaustive knowledge of the nature, meaning and significance of every fact or event that ever has existed or will exist, as well as every fact or event that might have existed. That will be a very short list. It will contain only one name: God. At this point — because this is what they do — your village atheist might sputter and fume with explosive, scornful fury. But, just to be blunt and plain, that's what Hell is all about, and that is why only people who deserve to be in Hell will be in Hell... and why we all deserve to be in Hell. The idea of a God who deserves ultimate and all-consuming love and respect and obedience, simply because He is God, is abhorrent, and the rejection of that premise is what launched the doomed project known as "the world." Back to our passage. The issue to Jeremiah, once he received this seemingly nonsensical directive, is this and only this: is Yahweh worthy of faith, love, and obedience? That, right there, is the archetypal question. It was that same question in the Garden, and it was at that same point that our great-great-greats answered wrongly, and doomed us all. You see, they had a word from God that was also clear and sufficient: don't eat the fruit of this tree, or you will die. In fact, they actually had more than Jeremiah had, in that they had a known consequence. So the issue was exactly the same: was Yahweh worthy of faith, love, and obedience?